I spent hours yesterday setting up the webinar platform. 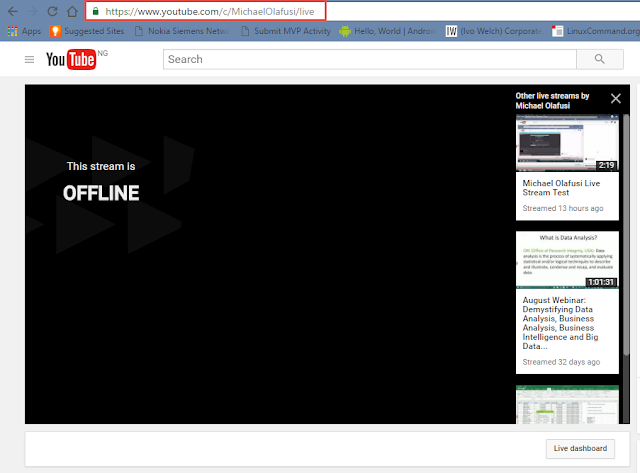 We are using YouTube live streaming and I had to install new video encoding software and hook it to YouTube. Had some glitches, tried two different software and in the end paid for the one I got to finally work. Also going by the test result, it is going to be an easy to join in webinar with excellent quality -- you just click on the link, https://www.youtube.com/c/MichaelOlafusi/live, at 4:00pm and you are in, regardless of your device. Works for all types of phones, tablets, laptops and PCs. Then we will progress to analysing data that are too large to bring into Excel. Data that have more than 1.048 million records. For that we will be using Power Pivot. It is still Pivot Table but with extra power to handle millions of rows of data.